PLEASE JOIN US FOR AN AFTERNOON OF JOYOUS CELEBRATION AS WE WELCOME THE HOLIDAY SEASON. SING TO THE MUSIC OF MIKE BARRY, ENJOY HOT COCOA, BAKERY COOKIES AND CANDYCANES. ALL LOCAL DIGNATARIES HAVE BEEN INVITED SEE YOU THERE!! 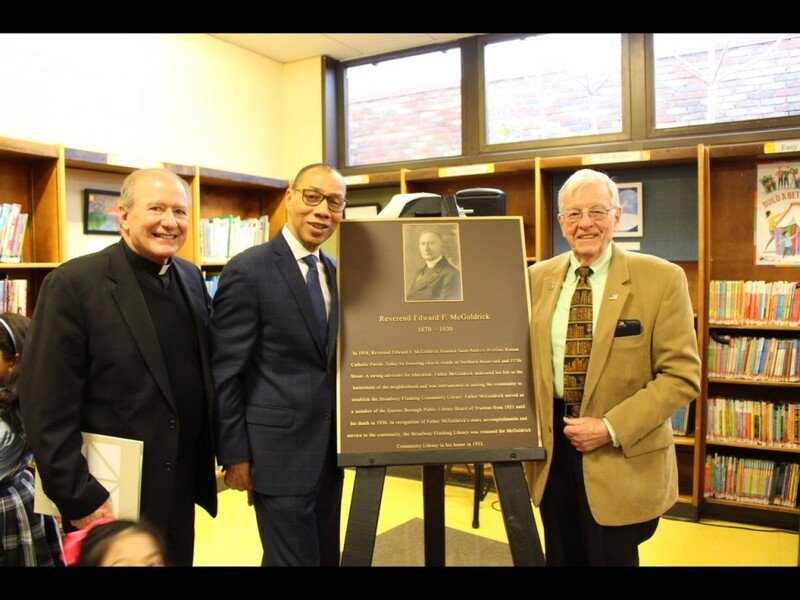 A standing room only ceremony was recently held at the McGoldrick Library to celebrate the unveiling of a plaque honoring namesake Father Edward F. McGoldrick who was instrumental in getting the library established almost a century ago. BFHA member and St. Andrew Avellino Parish historian Joe Brostek worked for almost two years to have the recognition provided. (L-R) St. Andrew Avellino Pastor Father Joseph T. Holcomb, Queens Library President Dennis Walcott and Mr. Brostek. 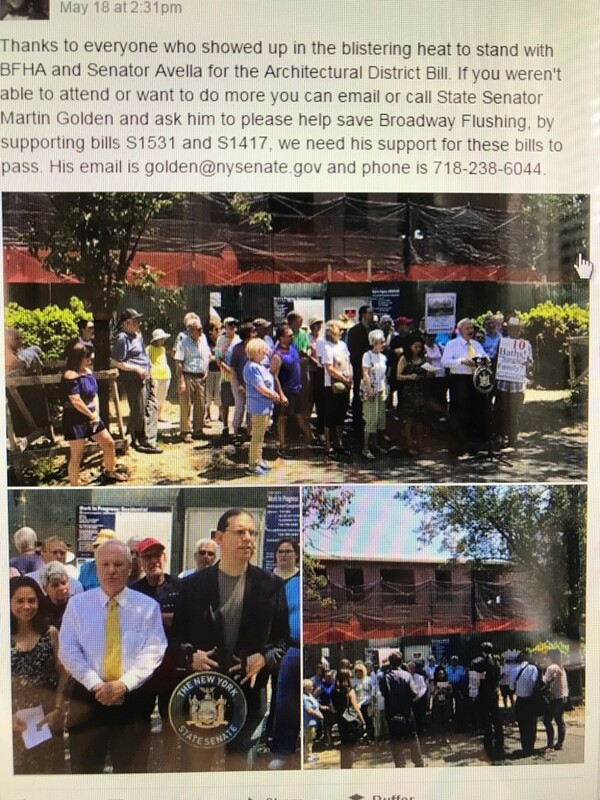 Many community members – but not all – know that the McGoldrick Public Library at 155th St. and Roosevelt Ave. was named in honor of St. Andrew Avellino’s founding pastor Rev. Edward F. McGoldrick. A strong advocate for education and knowing that one day he would establish a school, Father McGoldrick was instrumental in uniting the community to have a library established almost a century ago. He served on the Queens Borough Public Library Board of Trustees for many years. The library was recently renovated and on Tues. Nov. 28 at 3 PM there will be a special dedication ceremony hosted by QPL President Dennis Walcott. Rev. Joseph T. Holcomb will offer a benediction. The St. Andrew Avellino Academy Chorus will perform and a beautiful plaque honoring Father McGoldrick will be unveiled. Refreshments will be served. All are invited. NOTE: Unfortunately parking in the Murray Hill shopping center lot is reserved for SHOPPERS ONLY! Others will be TOWED. 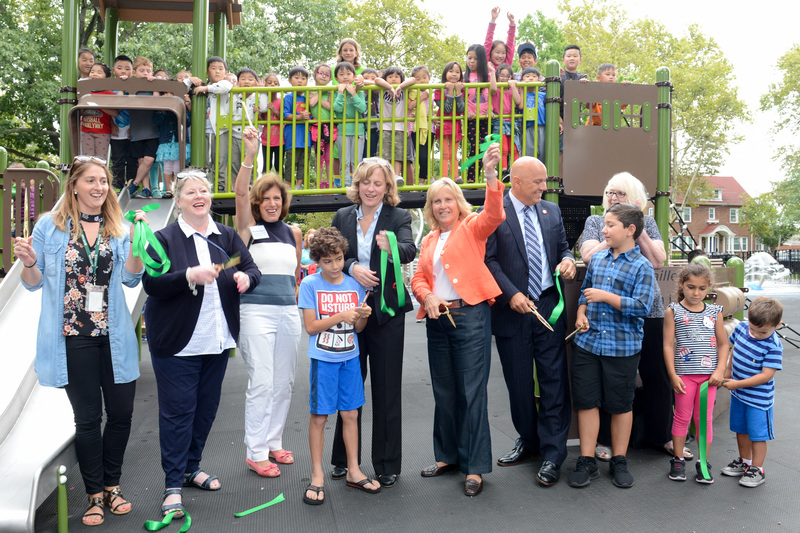 NYC Parks Queens Borough Commissioner Dorothy Lewandowski today joined Queens Borough President Melinda Katz, City Council Member Paul Vallone, Community Board 7 District Manager Marilyn McAndrews, and local community members to cut the ribbon on $1.5 million in improvements to Bowne Park’s playground. 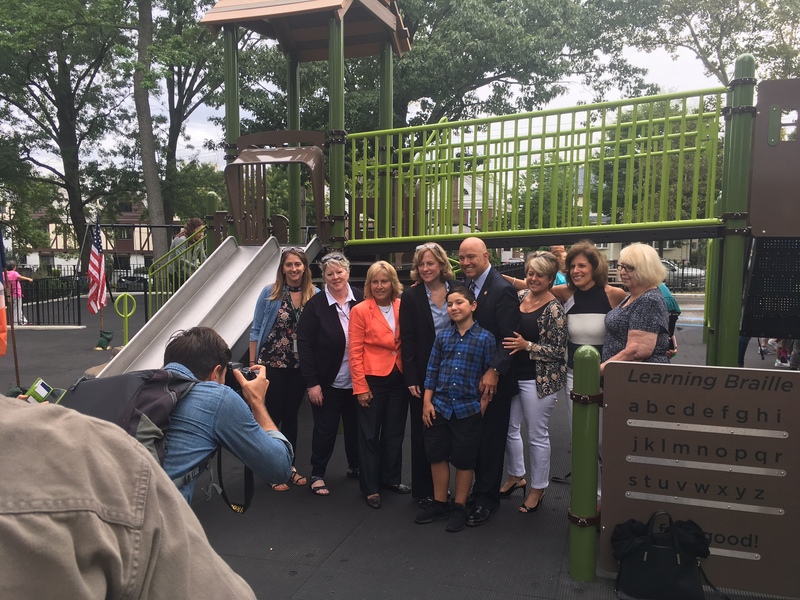 The project was funded by Borough President Katz and Council Member Vallone, and re-opened to the community earlier this month. 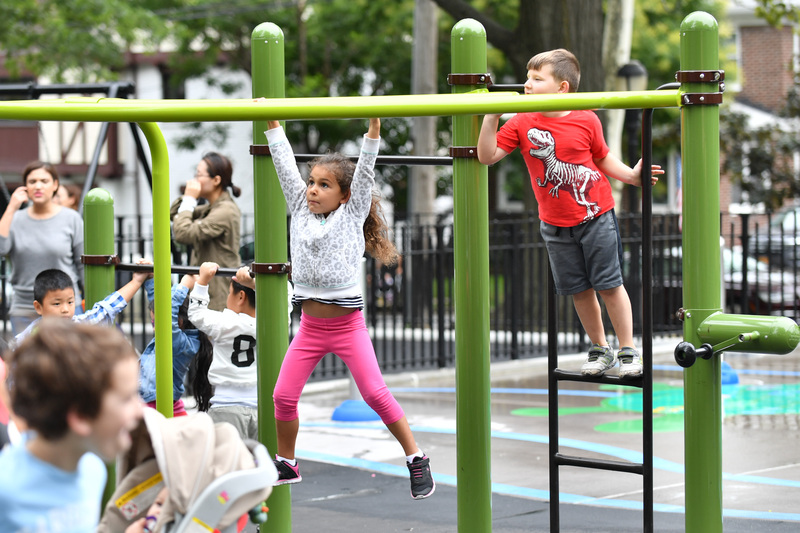 The newly reconstructed amenity features treehouse-inspired playground equipment for kids aged 2-5 and 6-12, and an expanded spray shower with a turtle theme to pay homage to the park’s popular native wildlife. 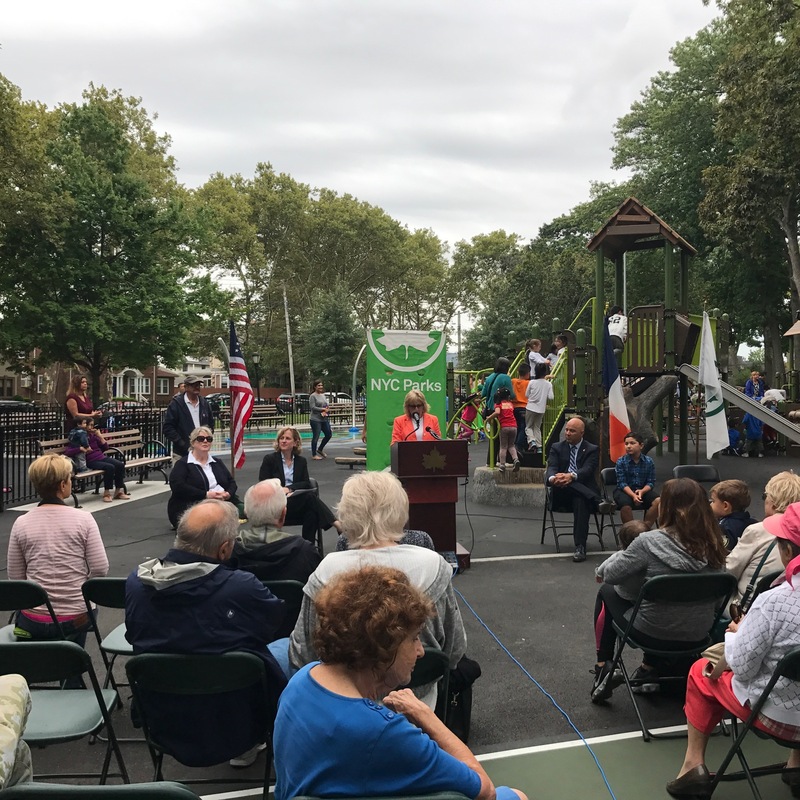 Painted games, new swings and a full renovation of the basketball courts complete the project and offer expanded opportunities for recreation. New benches will be installed throughout the space to allow park visitors to take a seat and relax. 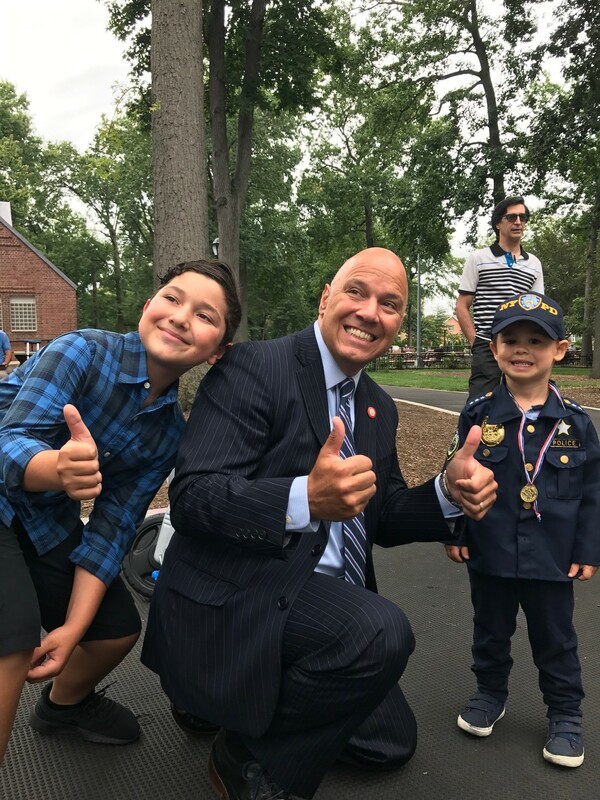 The Bowne Park Field House is also nearing completion, with the comfort station already open to the public, and the interior operations room set to reopen this fall. 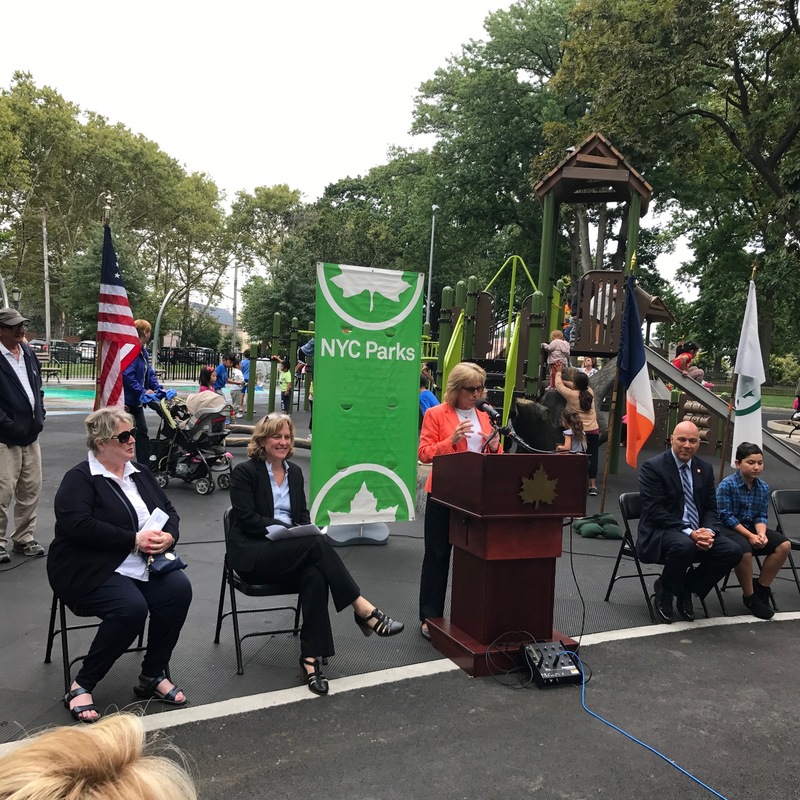 That project was funded in part by former Queens Borough President Helen Marshall, with additional Mayoral funding, and includes a complete interior and exterior renovation that will improve the functionality of the structure, while providing energy efficiency and full ADA compliance. 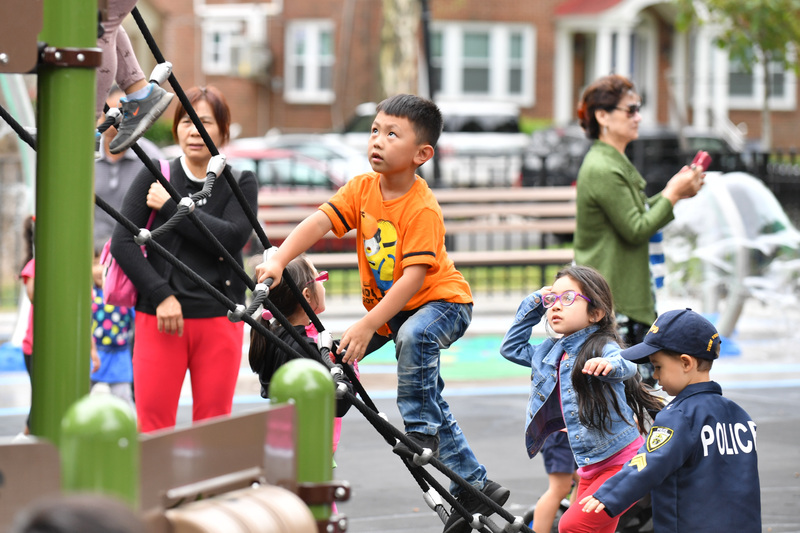 Bowne Park is an 11-acre gem in Flushing, Queens. 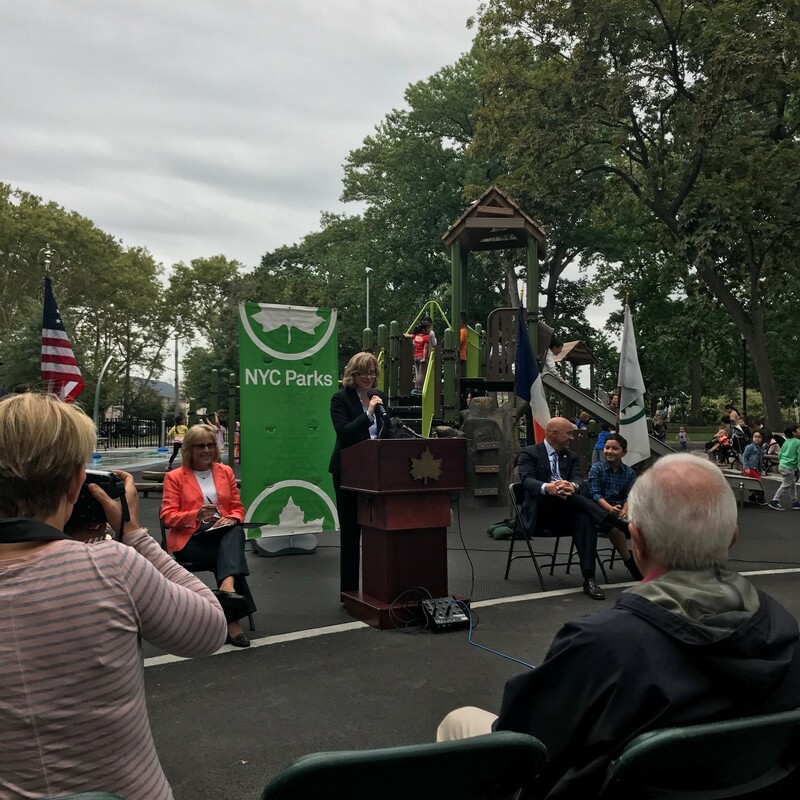 The park features a pond which is home to a family of turtles, and is named in honor of Walter Bowne (1770-1846), who served as a State Senator and as New York City Mayor. A new filtration system for the pond is currently in the design phase. 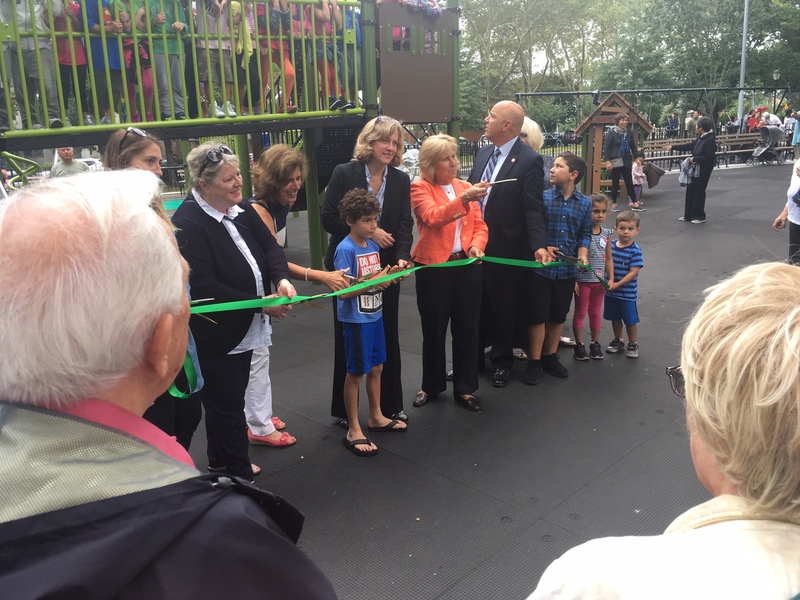 Commissioner Dorothy Lewandowski, Borough President Melinda Katz & Council Member Paul Vallone cordially invite you to attend a ribbon cutting ceremony for the Bowne Park Playground. The event takes place Tuesday, August 29th, 2017 at 11 a.m. 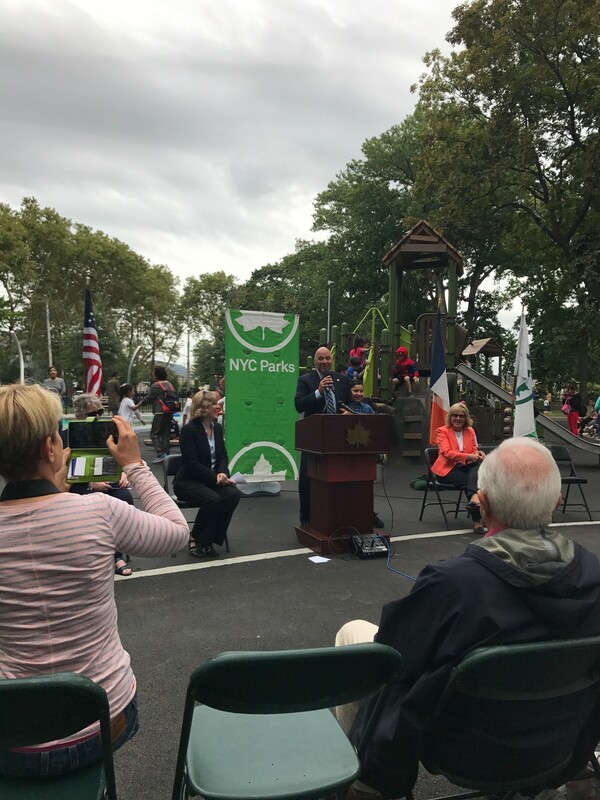 The Broadway-Flushing Homeowners’ Association and the Station Road Civic Association will co-host a Candidates Night on Thursday June 22nd for all of the candidates in the primary for City Council in the 19th and 20th Districts. The event will take place at 7:00 pm at Church on the Hill located on 35th Avenue between 167th and 168th Street. Each candidate will provide a five-minute statement to be followed with questions from the audience. 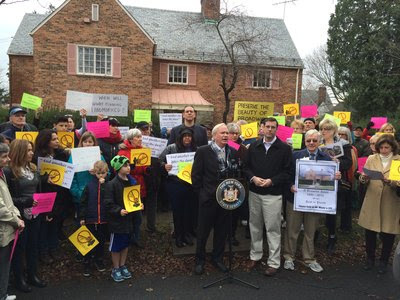 In January of 2016 Senator Avella held a rally in front of 33-05 157th to urge the Mayor and the Landmarks Preservation Commission to landmark Broadway Flushing. Since then we have had a number of tear downs and this site will host the biggest house in BFHA with over 6,200 sq. feet and 10 bathrooms. 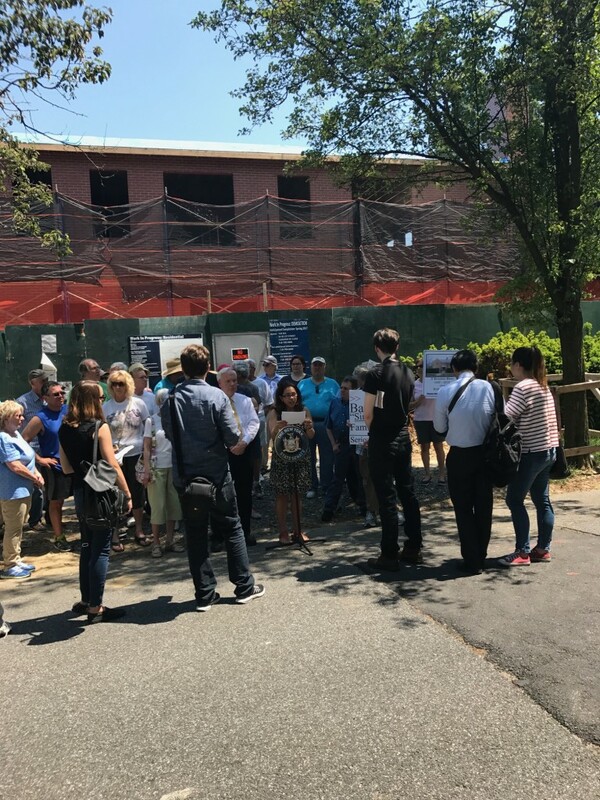 We urge the community to come back to this site on Thursday May 18th at 1pm to demand support from our city. 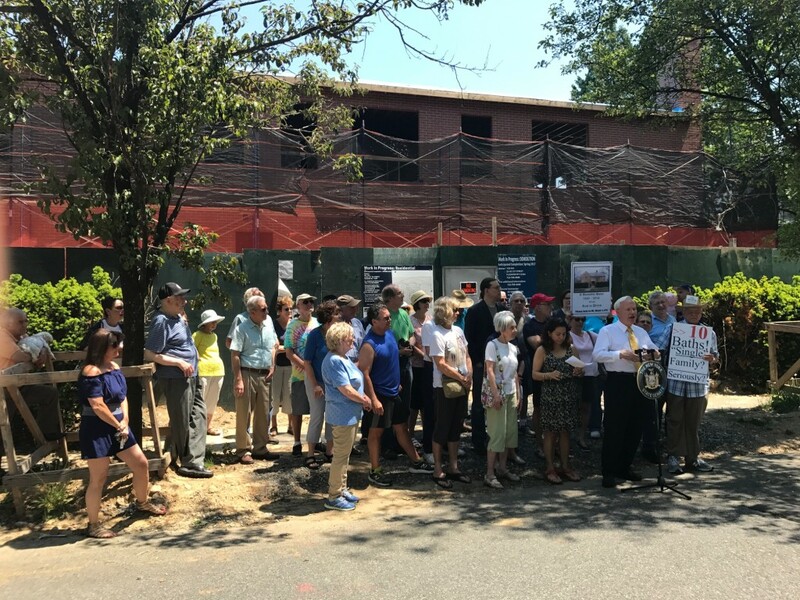 The Architectural District Bill is our only opportunity to allow for a review of future building plans to conform with the architectural style of our neighborhood. Thereby maintaining the character that is Broadway Flushing. 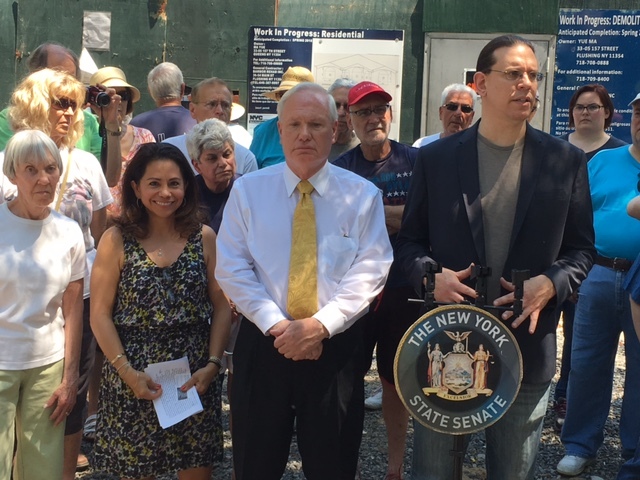 Come stand with BFHA and Senator Avella. To conserve the Association area as a single-family, detached residence district. To unite and encourage all homeowners and residents to maintain and improve the community of Broadway-Flushing. To further our agenda by appropriate representation and other courses of action before the various City and State governmental agencies. To keep the community informed about proposed zoning changes and their impact. To alert the community to apparent violations of current zoning laws and Rickert-Finlay covenant provisions. To keep our political representatives informed of important issues facing our Association. To cooperate with other neighborhood and civic associations in promoting cultural events for the area homeowners.